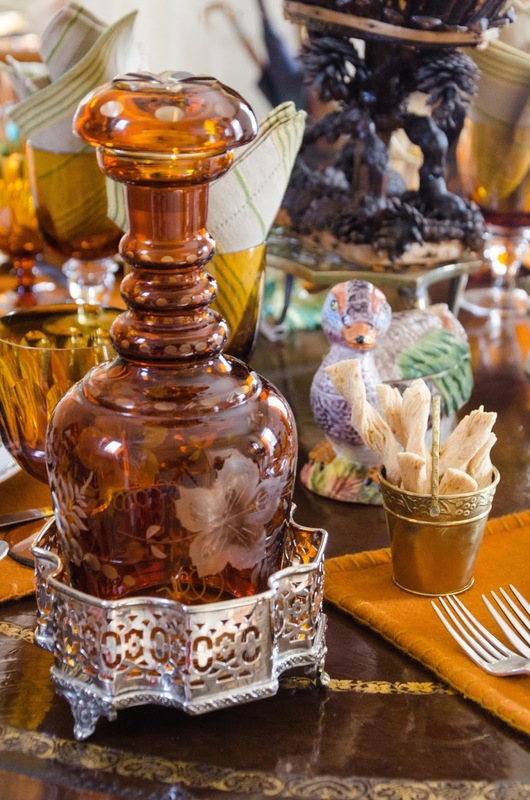 A beautiful autumn day was an ideal opportunity for Audrey to use her large collection of 19th century amber glass. A lunch invitation to the historic Georgian Burgoyne House in Kinderhook, New York is not something that one says no to. When my friends and neighbors, Stuart and Audrey Peckner, invited me for a small lunch I knew I had a story. The Peckner's are well known fine antiques dealers who for over 30 years owned the rarified NP Trent Antiques in Palm Beach. Since moving into their Hudson Valley village house full time several years ago, they have also moved their store to Kinderhook and sell on 1stdibs. 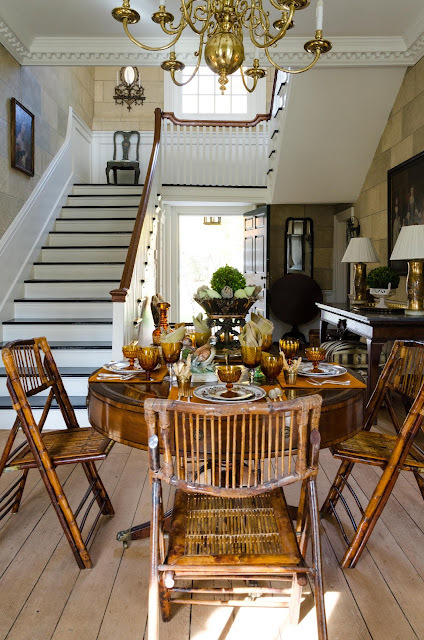 The couples sure sense of style and exquisite taste (and priceless collections of everything) ensures that its always a treat to be hosted at their house. Hope you will enjoy this beautiful lunch as much as I did! The table was set in the spacious hall. Tell me about the occasion and the meal you served. This lunch was casual so I served Butternut Squash soup as a starter. The main course was an easy to make three cheese panini on sourdough bread and cucumber salad followed by apple pie with hard sauce. I love to serve hard sauce with apple pie, my aunt used to make it for me when I was a child and it always brings back fond memories. The wine was a red bordeaux. 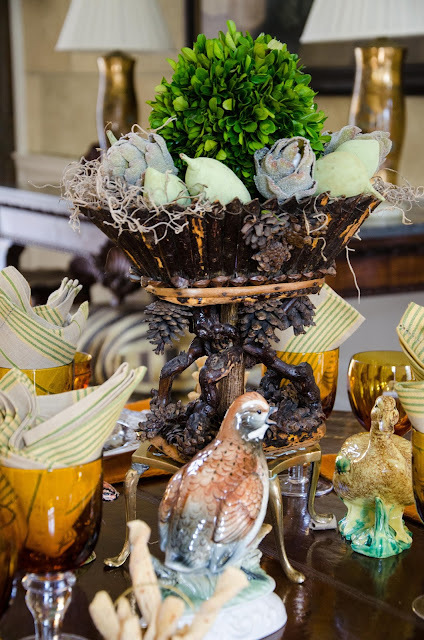 One of a pair of 19th century pine cone centerpieces owned by Bill Blass and bought at his auction. Apparently these pieces are haunted by Mr Blass' cologne, because they still emit his favorite scent years after his death. 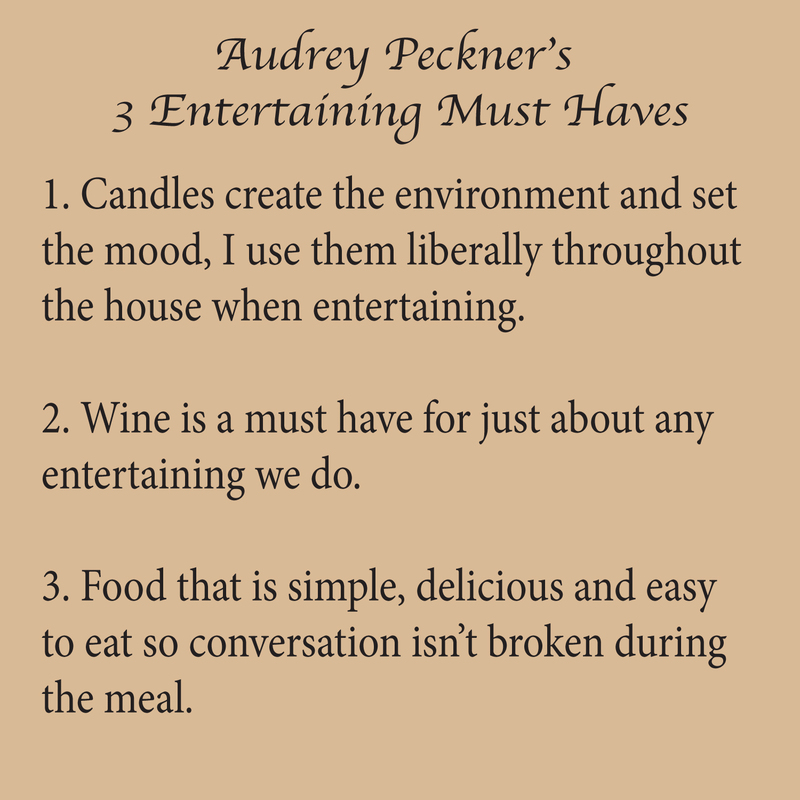 What influences your menu choices when you entertain? I follow seasonal availability when making my menu choices. 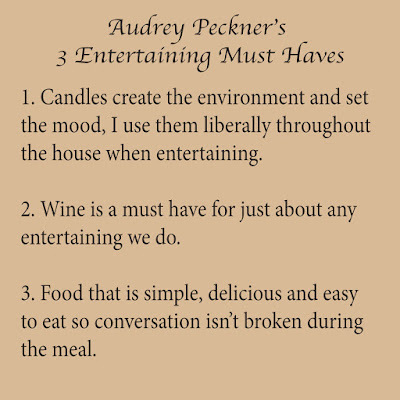 Who or what has most inspired your entertaining style? 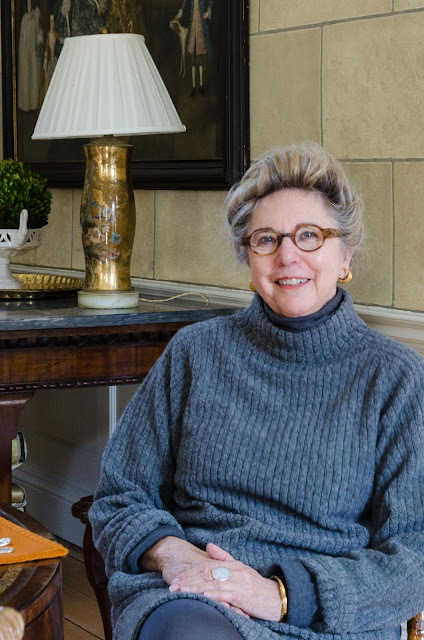 I closely follow Carolyne Roehm. I admire her style. My lifelong quest to create beauty in all things has led me to this moment in time, where I feel the art of entertaining is the ultimate in creative comfort and beauty. The many mediums from table settings, to food to conversation all play a part in creating a memorable occasion. A unusual 19th century etched amber decanter is part of the couples collection. What a great idea, individual brass containers of bread sticks at each place setting. 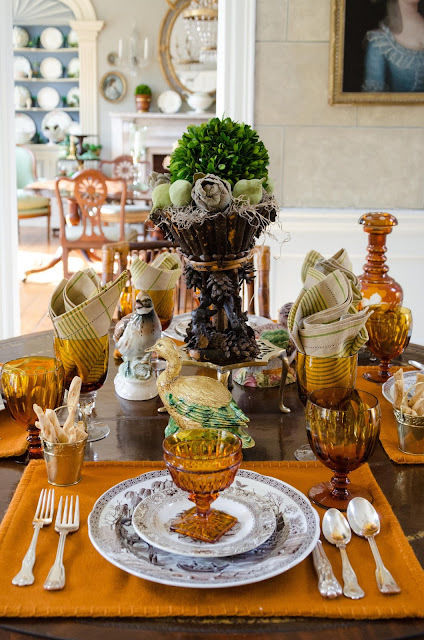 Do you have a favorite china or tabletop item that you collect? Period glassware and china are my passions, I am an addict really.